URI North America is thrilled to welcome one of our newest Cooperation Circles. We know that we are stronger together! Program Areas: K4P Seattle runs three programs that focus on four key areas: 1) Interfaith education 2) Dialogue & Leadership skills 3) Social change 4) Community building. Fr. 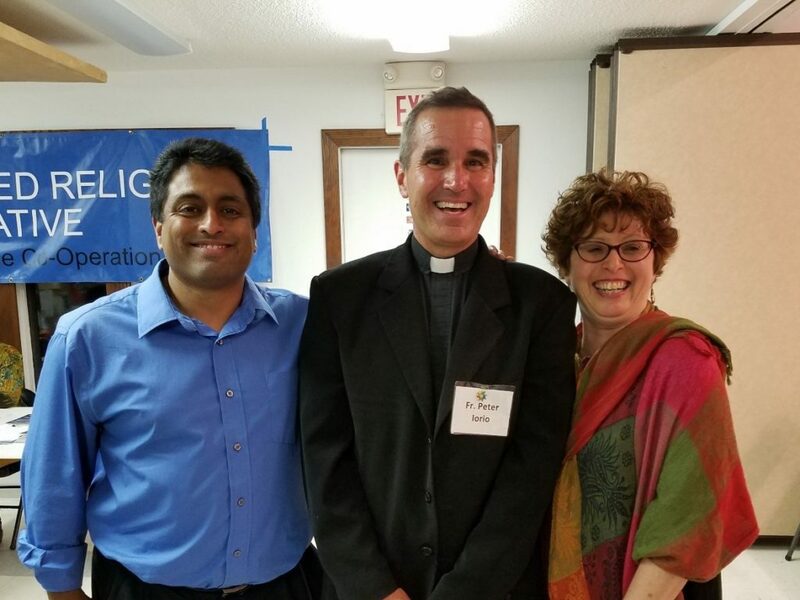 Peter Iorio, Facilitator of the URI in Northeast Tennessee Cooperation Circle, with Arif Choudhury (L) and Noa Baum (R). 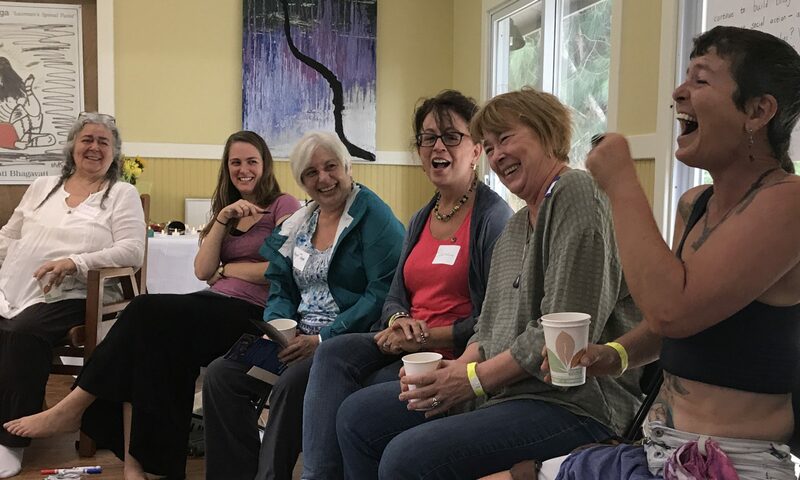 To paraphrase a quote from Gene Knudsen Hoffman, Compassionate Listening pioneer and international peacemaker, “A stranger is one whose story you’ve not yet heard.” Getting to know one another can be as simple as listening to each other’s story. When that story is shared by someone you might see as one of “the others”, a bridge of the heart can truly be built. Thanks to the hard work of the United Religions Initiative Northeast Tennessee Cooperation Circle, two talented storytellers, Noa Baum and Arif Choudhury, debuted an impactful interfaith program titled “In The Heart of The Other: A Muslim and Jew Sharing Their Stories.” Through the Appalachian Storybridge to Peace program of the Northeast Tennessee Cooperation Circle, the program was produced four times over the two days of September 14-15, 2017 at the International Storytelling Center at Jonesborough, Tusculum College in Greeneville, East Tennessee State University and the Holston Valley Unitarian Universalist Church in Johnson City, Tennessee. 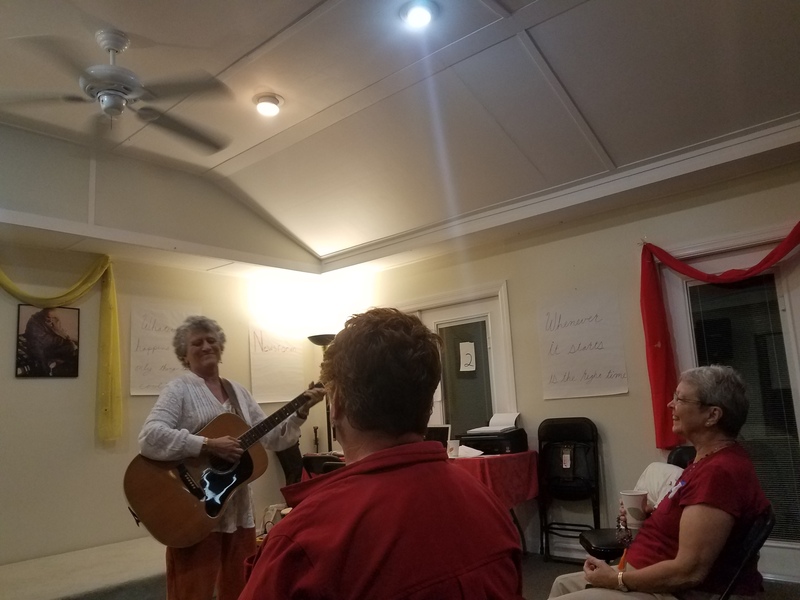 Nashville Cooperation Circle holds a community service where nine people from different religious traditions discuss peace. Around the world, a minute of silence will fall at 12 p.m. in each time zone on Sept. 21, as people gather together for meditation and prayer for global peace. International Day of Peace was established in 1981 by a United Nations resolution that devoted a day to “commemorating and strengthening the ideals of peace both within and among all nations and peoples.” United Religions Initiative (URI) has been a partner of International Day of Peace since it was established in 2000. The minute of silence in recognition of this day begins on Sept. 21, when the Secretary General rings the Peace Bell at the UN Headquarters. 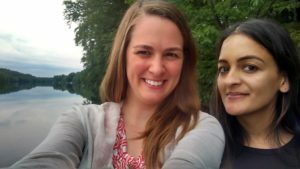 Roadtripping & Learning from Interfaith Peacebuilders Across the Northeast U.S.
Sari (L) and Nivy (R) at the end of our roadtrip in New Hampshire. This story is from the Center for Religious Tolerance, a URI Cooperation Circle based in Florida doing work around the world. You know something important is happening when the same good idea springs up independently on three continents. 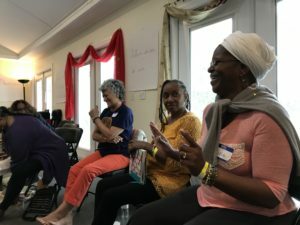 In Kenya, Israel and the United States, girls and young women are exploring the history of women’s rights, discussing the issues that face them today, and forging a new activism. 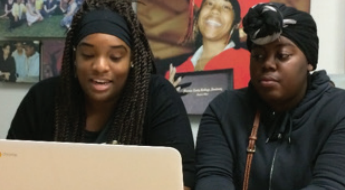 In 2018, CRT will bring representatives from three successful local programs to Washington, DC to launch the Seeds of Change project. In the past year, communities across the U.S. and Canada have seen an increase in incidents of hate and discrimination. In the U.S., a divisive election season has left myriad communities fractured and relationships broken. Today, many activists across our region are feeling overwhelmed by the realities of their new social and political climate. However, we must remember that we do not exist in isolation. For years, many communities outside of North America have been involved in building cultures of peace, justice and healing in difficult contexts. We have much to learn from them. These seasoned interfaith activists shared personal stories about how they have successfully learned to operate in difficult political and social climates. They shared wisdom and insights from their experiences building peace in the midst of fierce political divisions, unethical governments, and a cultural shift towards xenophobia (including against Muslims, Jews and immigrants). These United Religions Initiative members also provided practical examples of how they remain grounded and avoid burnout. Too often, we North Americans think of ourselves as teachers and educators of those in other countries. This is a chance for us to flip that script and position ourselves as learners and listeners to our brothers and sisters from Africa, Europe and South America. Watch the video for an informative and inspiring conversation. Special thanks to the Charter for Compassion for supporting this webinar by lending us the use of their webinar-hosting account. Sergio works for the UNESCO Association for Interreligious Dialogue of Catalonia, a United Religions Initiative Cooperation Circle, as the coordinator of The Night of Religions of Barcelona, an annual event that highlights the city’s religious diversity; and of Bridge Builders of Barcelona, a forum for interreligious interactions among the youth. 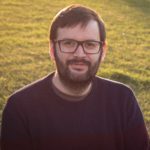 He holds a degree in philosophy from the Autonomous University of Barcelona and a master’s degree in Interreligious, Ecumenical and Cultural Dialogue from the Ramon Llull University. 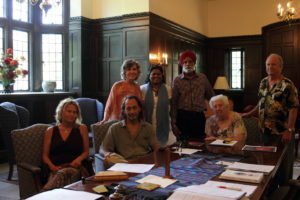 He has been writing for Dialogal, the journal of interreligious dialogue, since 2010. Emmanuel is the West African Regional Coordinator for the United Religions Initiative and a visionary, scholar, researcher, social innovator, peacebuilder and author of several books. He is the recipient of the 2014 Unsung Heroes of Compassion Award for his service to humanity and his peacebuilding efforts in Nigeria. 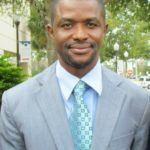 Emmanuel holds a PhD in Philosophy and Religion, specializing in Metaphysics and Comparative Religion. He also serves at the United Nations Alliance of Civilizations – Education First Summer School, is the founder of the Creative Minds International Academy, a Nigeria-based model coeducational school empowering students with tools and opportunities for critical thinking and is the convener of the Annual International Conference on Youth and Interfaith Dialogue in Nigeria, which hosts over 350 participants from more than 10 countries annually. 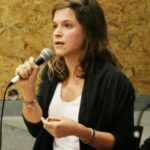 Veronica collaborates with the UNESCO Association for Interreligious Dialogue of Catalonia, a United Religions Initiative Cooperation Circle, as a member of the organizational team of The Night of Religions of Barcelona, an annual event aimed to highlight the city’s religious diversity; and as coordinator of the religious diversity group of Bridge Builders of Barcelona, a forum for interreligious interactions among young people. 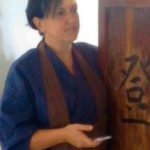 She holds a degree in philosophy from the University of Padova and a masters degree in Philosophy from the Ca’ Foscari University of Venice. She been writing for Dialogal, the journal of interreligious dialogue, since 2012.
president of the Circulo De Cooperación para el Diálogo (Circle of Cooperation for Dialogue), a URI cooperation Circles in Venezuela whose purpose “is to develop intercultural dialogue to promote peace, mutual comprehension, forgiveness and reconciliation.” Marina also hosts a radio program, “Today Exactly Now” on RadioComunidad on Thursdays at 2 p.m. She is a graphic designer and independent producer by profession. Jaxon Washburn traveled to the United Nations as part of a URI North America-sponsored program for young adult interfaith leaders. This trip occurred during World Interfaith Harmony Week. 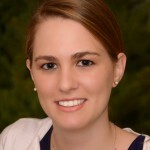 Washburn is the founder of The World and Religion Tolerance Society, a high school interfaith in Arizona and a Cooperation Circle member of the United Religions Initiative. Recently, I had the tremendous fortune of traveling to and attend the 55th Commission for Social Development at the United Nations in New York City. This took place as part of a celebration for World Interfaith Harmony Week put on through a grassroots non-profit organization that I am a part of called the United Religions Initiative. The whole journey was an unreal experience and greatly expanded my own perspective on the world, youth engagement, and of course, the increasing importance of the values of interfaith in the world today. World Interfaith Harmony Week is celebrated during the first week of February, and my trip was the first three days of the global week of interfaith observance. After a long, yet occupied plane ride in anticipation of the impending experience, I touched down in New Jersey at the Newark Airport. From there, I took a shuttle bus directly to our in Times Square. During the ride, I was happy to engage in some conversation with a group of Belgian tourists, the topics ranging from where we had traveled to relevant politics. Already at that point, extreme diversity was completely apparent everywhere I looked. 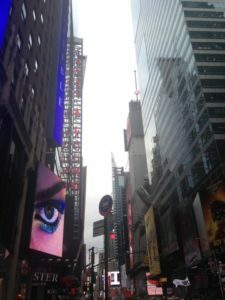 After reaching the hotel, I explored Times Square and the bustling city surrounding me. New York could only be compared to some massive organism that never slept and was always on the move, breathing in and out massive crowds of cars and humans alike. Culture shock is a highly accurate description of the feeling I experienced at that time. No matter where I set my gaze, a myriad of ethnicities, persons, and languages were present. Having an internal radar of all things religious, I often found myself guessing or identifying nearby individuals according to their faith. Whether walking or driving through the city, one could easily spot many Muslims, Jews, Sikhs, Hindus and Buddhists. I was in awe, both of the towering edifices crammed in such close proximity to each other, as well as the multitude of hosts they contained. New York could only be compared to some massive organism that never slept and was always on the move, breathing in and out massive crowds of cars and humans alike. After being very much overwhelmed by the change of scenery, I joined with the small group of other youth representatives I was staying with, and after getting dinner in an Irish pub, we retired for the night. The next day, we all awoke bright and early and took off to get our proper identification for our impending day at the United Nations. Our hotel being on 41st Street, we walked several blocks through the city, even passing through Grand Central Station, before we got to the identification building so that we could get certified to enter the United Nations itself. After a process of handing over our papers and getting temporary lanyards with our official U.N. ID’s, we went through various security checkpoints to get properly screened. Being the foremost center of international diplomacy, the security was far more intensive and rigorous than I had ever before experienced. After briefly surveying the inner room, we quickly walked to the meeting room where we would observe our first of two meetings. This session was titled “Promoting Integrated Policies for Poverty Eradication: Youth Development in the 2030 Agenda” and was attended by various representatives from all over the world. Finally, stepping out of security after being deemed clean of any contraband items, we stepped into the central courtyard of the United Nations. 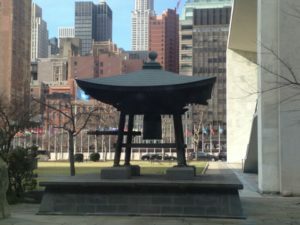 The morning air was crisp and after a brief photo shoot in front of the various symbolic statues and outdoor works of art, we stepped through the grand entrance of the main UN building. After briefly surveying the inner room, we quickly walked to the meeting room where we would observe our first of two meetings. This session was titled “Promoting Integrated Policies for Poverty Eradication: Youth Development in the 2030 Agenda” and was attended by various representatives from all over the world. They all spoke about how their country was focusing on increasing socioeconomic development in their youth and women through social programs, education, and various empowerment projects. China, Madagascar, Portugal, Uruguay, Iran and others all voiced their reports on the development of such efforts in their respective countries. Afterward, our group got a quick lunch in one of the cafes in the building and then took part in an interactive discussion regarding youth delegate programs in the United Nations. There, various youth representatives from countries such as Australia, Bulgaria, Ukraine, the Netherlands and others were able to share some of the successes, challenges, highlights and obstacles they had faced in taking part in their country’s Youth Delegate programs. We toured the remainder of the United Nations building that we had access to. We were able to view gifts and international artwork, as well as exhibits. Afterward, we toured the remainder of the United Nations building that we had access to. We were able to view gifts and international artwork, as well as exhibits dedicated to the history of the United Nations, tragedies such as the Holocaust, and modern epidemics such as sexual violence and the conflicts in the Middle East. Every item had a story, and every story made a special impression on those who experienced it, myself included. Following a full day there, we soon retired back to our hotel rooms for a few hours before joining together again to end the night with a group dinner at a local Italian restaurant. The final day as the other members of my group departed, I was finally able to really tour New York and make special visits to its foremost tourist spots. The Statue of Liberty, the Empire State Building, the Memorial for the World Trade Center, St. Patrick’s Cathedral, the New York Public Library, the Holocaust Museum, and Central Park were all destinations I quickly make stops at before finally catching my shuttle to the airport and embarking on the plane ride home. 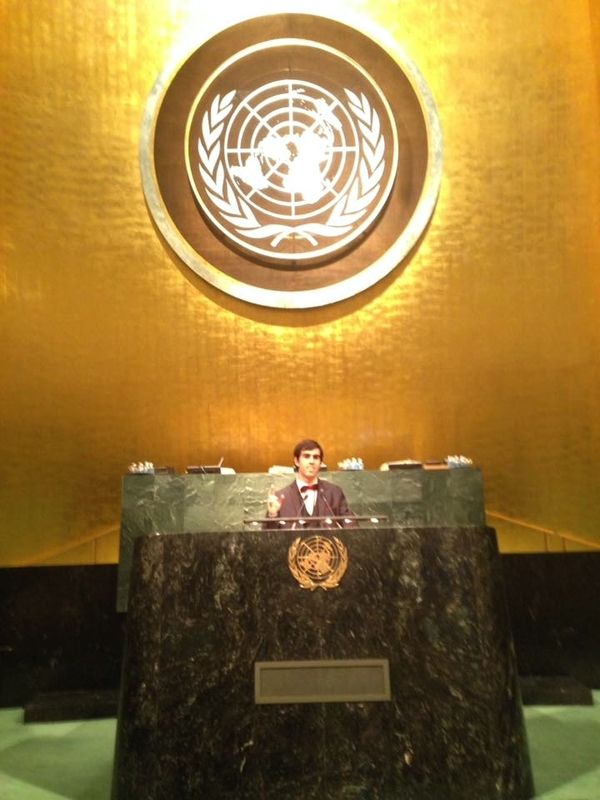 I returned from New York, the United Nations, and the trip as a changed individual. While there, my perspective became more global and my worldview enriched, with several meaningful relationships fostered with those I had spent time with there. Jaxon (2nd from right) with other URI members visiting the United Nations for World Interfaith Harmony Week. 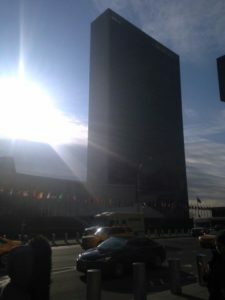 In the end, I returned from New York, the United Nations, and the trip as a changed individual. While there, my perspective became more global and my worldview enriched, with several meaningful relationships fostered with those I had spent time with there. I am very grateful for the opportunity I had to take part in this trip. The experiences I had and the impact it has made on me are something I am confident can only come once in a lifetime. With the help of the United Religions Initiative, I will forever remember World Interfaith Harmony Week in reference to the lasting relationships I created, and the meaningful lessons I learned while there. Now, more than ever, I am committed to working towards a more inclusive, global, and understanding society. These are values I believe in, and thanks to organizations, such as URI and the United Nations, those values have a chance towards changing many more lives, just as they have my own. In the end, I am confident that we are all better together and I know that together, it is truly possible for peace to prevail on earth. Read reflections from other trip participants here and here. 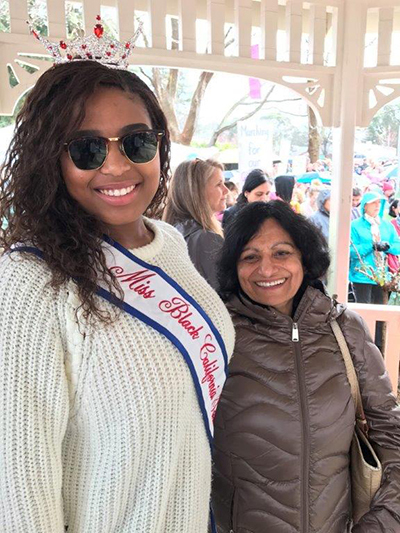 People of different religions, spiritual expressions and Indigenous traditions were among the 3.2 million that took to the streets across the U.S. and world on Saturday to participate in the Women’s March, a movement for the protection of women’s rights, safety, health, and families. 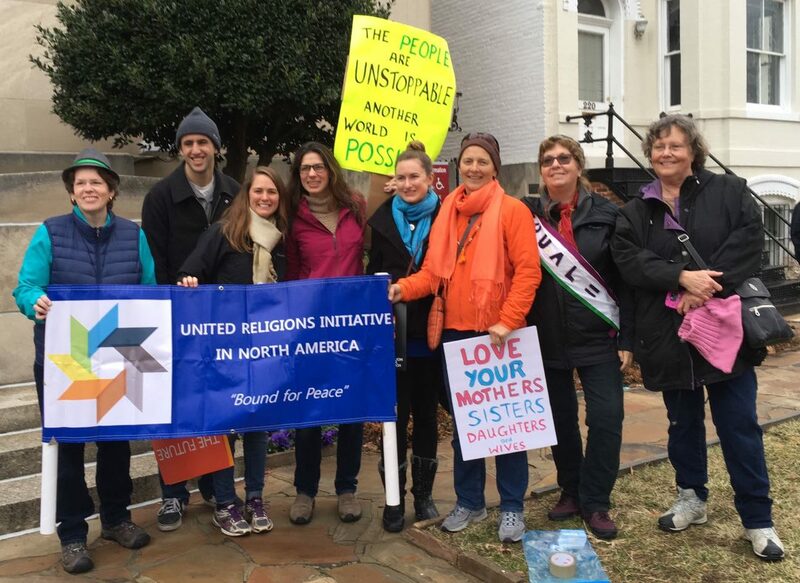 Members of the United Religions Initiative, a global grassroots interfaith peacebuilding movement, marched together in Washington, D.C. and at sister marches in members in cities across the U.S. Here are some photos of just a few! URI members Linda Crawford, from the Interfaith Center at the Presidio, and Swami Dhumavati Jaya from Kashi Ashram were profiled by Huffington Post Religion. 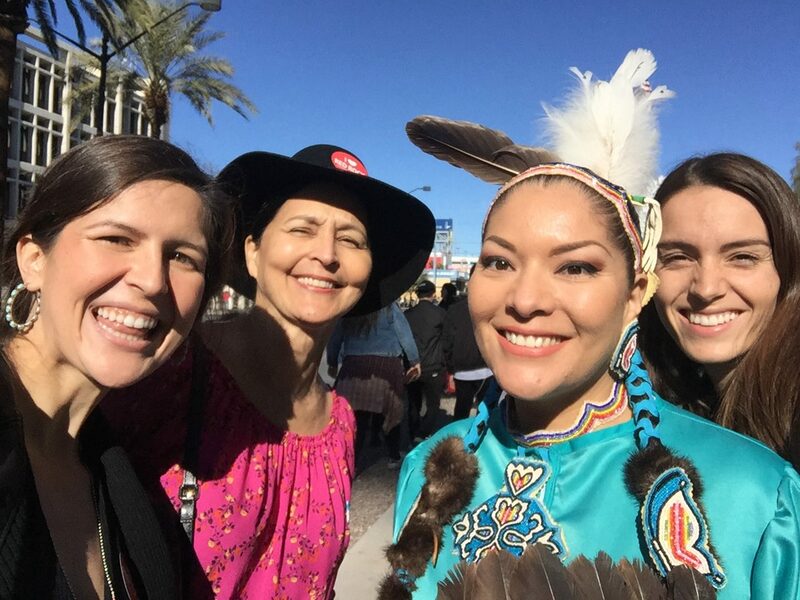 URI members, staff and friends marched together in Washington, D.C.
At the Women’s March in Los Angeles, SARAH hosted a red tent, in honor of the thousands of years women have met in the red tents to connect, meditate, and be with sisters in a way that could not happen in any other place. They hosted two guided meditations and a drum healing throughout the day. 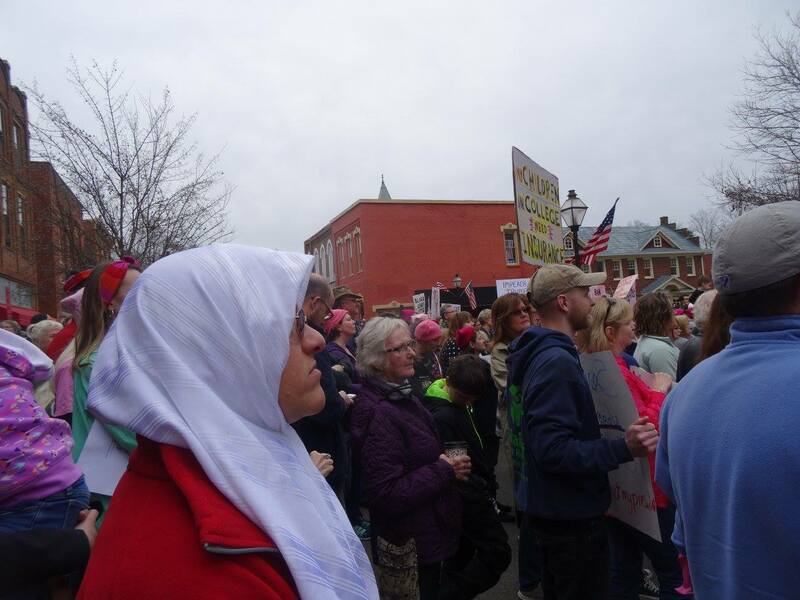 “We marched with our family of three generations and members from our congregation. Although the weather was storming and raining, it did not matter, we all felt so united with one voice of Love, Peace and Bliss-Anandam. We are all one and stand together for wellbeing of humanity.” – Satya Kalra, Path to Anandam. You can view more photos here. “As we gathered, our area was under tornado warnings so we met together in a local gathering spot. We went around the room and introduced ourselves and discussed why we personally were called to come out to the march. Each person who spoke, spoke from their heart. 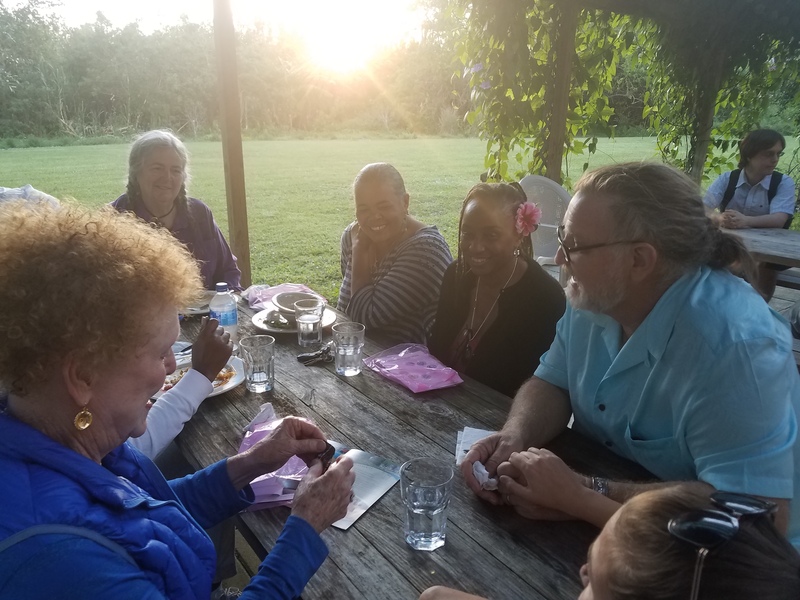 We created a list of people who were there and decided to continue to meet on a monthly basis, inviting other groups to join us. There were discussions about getting more people out to vote and involved in the election process. Our area is, as is most of Alabama, primarily Republican with very few Democratic candidates on ballots. Some who spoke were very concerned that the electoral process should be more inclusive of representatives of both parties. Some who spoke were tearful because they have felt isolated because their views were different from some of their friends and coworkers. They were excited to be in a room with others who were nurturing and accepting. Others were feeling a great sense of healing. Everyone felt encouraged by the numbers of women who turned out at the various Women’s Marches and the men who supported them. Everyone also felt a new day was dawning and the work to transform the energy going forward into actions that could change the world is what lay ahead. 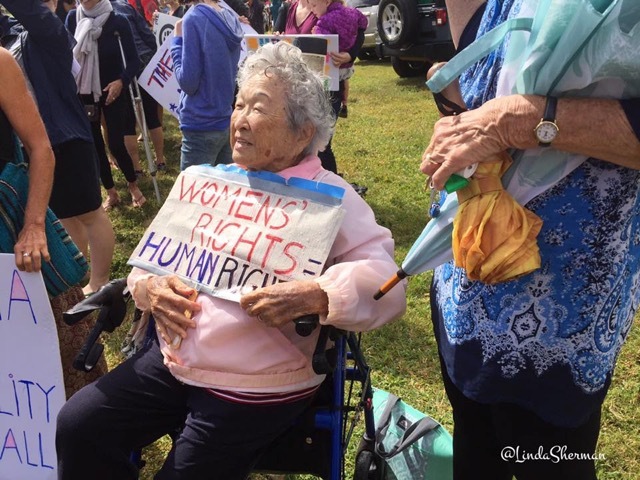 “Over 1,500 women and some men from all ages and different ethnicities showed up [at Kauai’s Standing Women] to stand with posters in hand and waving to all the passers by. That’s 3% of our total population of men, women and children. 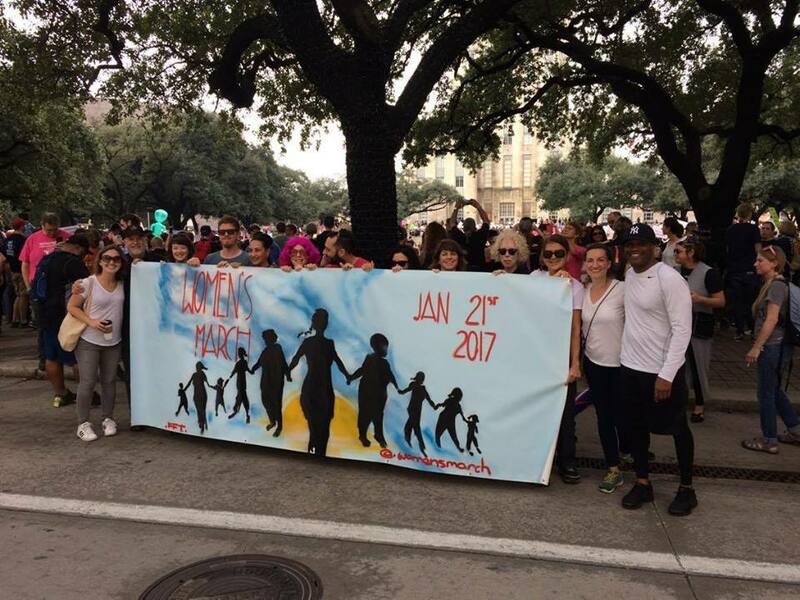 Rothko Chapel staff and volunteers marched together in Houston, Texas. 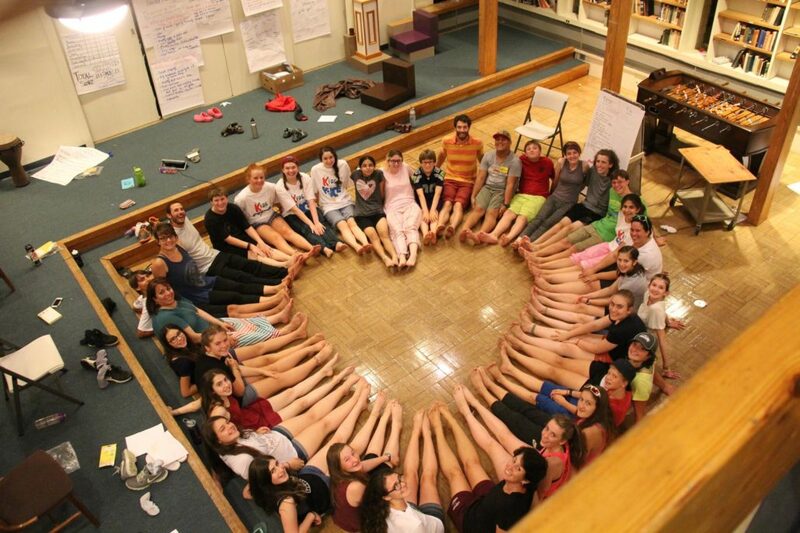 This #GivingTuesday, support community-driven peacebuilding! 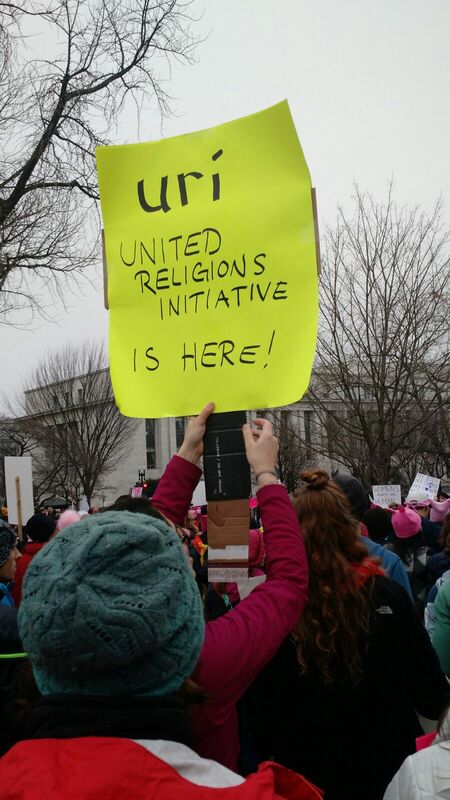 Support the United Religions Initiative in North America Today! #GivingTuesday is a global day of giving fueled by the power of social media and collaboration. 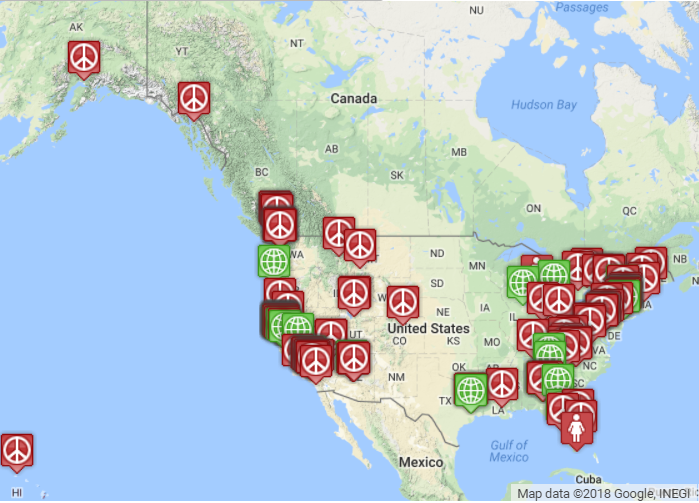 This year, help support peacebuilders working toward peace, justice and healing within their communities by giving to the United Religions Initiative in North America (URI North America). 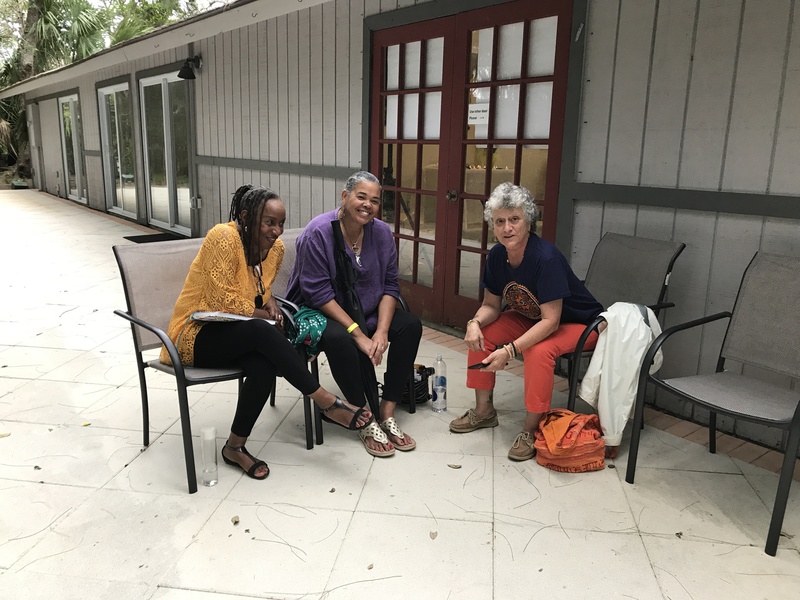 Your donations support peacebuilders around Canada and the United States to develop the skills and connections they need to invoke social change on both institutional and community levels! Our work stems from our commitment to our Preamble, Purpose and Principles – values that lie at the intersection of our faith identities and our social change work. 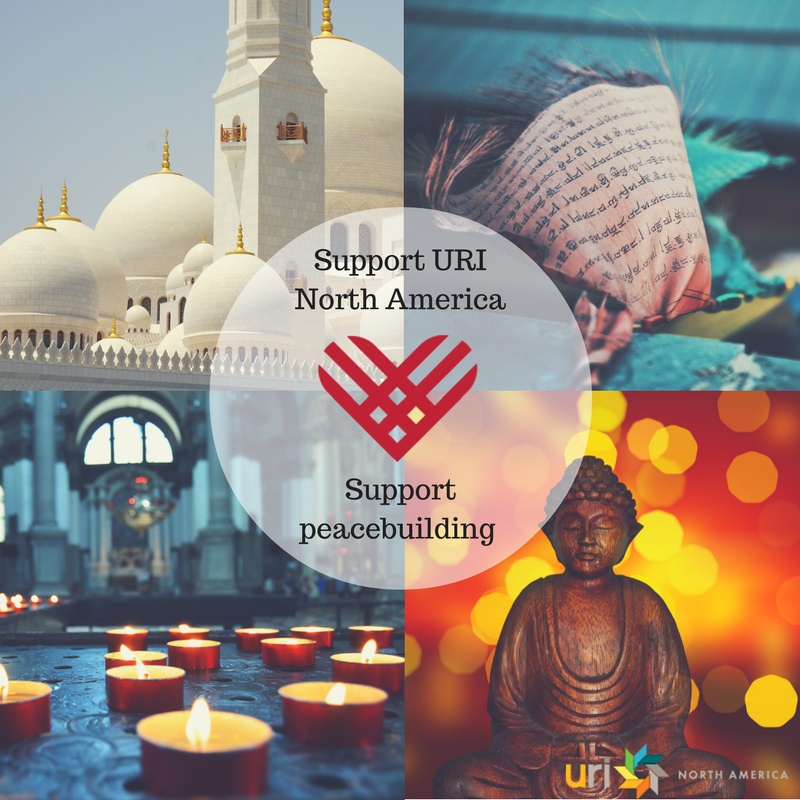 Here are three ways you can give back to URI North America this #GivingTuesday! This year, do all of your holiday shopping through Amazon Smile. 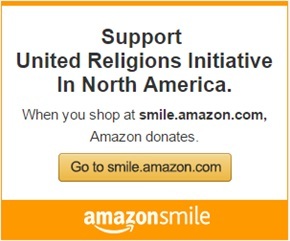 For every item you buy, Amazon will donate a portion to URI North America at no cost to you! All you have to do is designate United Religions Initiative in North America as the charity you choose to support. We’ve made it easy for you to do this, by clicking here. 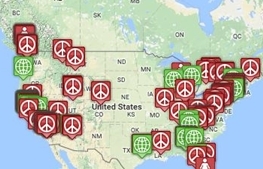 Join the movement for peace, justice and healing! One of the best ways to give back, is to get involved with a peacebuilding organization in your own community. Check out our directory of Cooperation Circles for a group near you.